Create a speakers list and a profile for each of them. Users can view their photo, title, biography and social media links, and are also able to rate them. 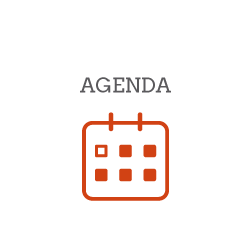 Users can view the general event agenda, filter by tags and access the details for each session including speakers, room, rating, comments or related surveys. They may also add sessions to "My agenda". From the agenda, the user will be able to send questions to a particular speaker. These questions can be moderated or not and may be shown to the public on a separate web. Link geolocated maps to explain the attendees how to get to the event and link your own images to guide them through the venue. This feature will be linked to the Maps app on their devices. 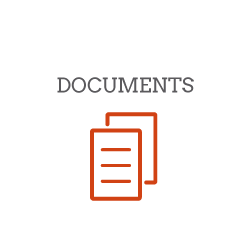 Upload and organize all documents related to the event for the attendees to download, save and share with their devices. Create a link for every social network associated to the event. When the user clicks on them, they will be opened on the browser or on their preferred application. The event administrator can create pages with the event information and external links such as their website, registration form, etc. Most of evenTwo sections can be filtered by category. This enables the attendee to navigate through event apps with a huge information load. Customize your event App with evenTwo. You can customize splash screen (home), main image, main icon, colors and icons. The result are fully customized Apps for each event. Notifications can be used to send instant messages to all attendees. When marked as ‘push’ they will arrive to the attendee’s device as an instant messaging communication. Give further relevance to sponsors by including a list with a profile for each one, where their logo, name, description and social media links can be displayed. You may also add a carrousel with the sponsors logos on the dashboard. An exhibitors list and be created, together with a profile for each of them, where their logo, name, description and social media links may be included. Also, each exhibitor can be associated to a specific map on the maps section. Create surveys for the event attendees and view the results at all times from the evenTwo Backend. It is posible to define several types of questions, such as multiple values, value between range and open text. Attendees are able to rate speakers or sessions as long as this option has been enabled from the content manager. Create live polls to boost audience participation. Unlike surveys, this feature enables the speaker to launch a vote from the Backend, so attendees can view it and answer instantly on their device. One of the best ways of engaging with the attendees via App is to include a list where they can see who else is attending the event and visit their profiles. Creating user groups makes it possible to target push notifications, surveys, comment walls or any other feautre to a certain part of the attendees. The dashboard is the main screen of the event App. It is fully customized and contains all the App features. The order, name and icon image of all sections are managed by the event administrator from the content manager. While on another attendee’s profile, the user has the opportunity of sending a private message. A push notification will arrive to the recipient where the message will show. Attendees may interact in a comment wall by sending messages or posting pictures. It is possible to create separate themed chats that may also be restricted to certain user groups. This allows to create a different experience for each user and transforms the event App into a social App. Upload and reproduce videos directly from the App. A video list will be created and the users will be able to view them at any time. 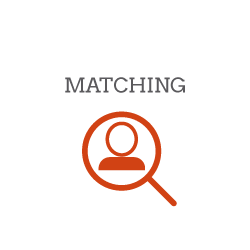 Attendees can find other users with which they may share a professional interest by selecting which competences they offer and those which they are looking for. Although our comment wall includes its own image gallery with the pictures sent by users, it is possible to create several image galleries with pictures from the event. Users will access the gallery and share or download the pictures on their devices. With our gamification features you will have antother tool to turn passive attendees into active participants through games. Users will have to answer the questions correctly and as quick as possible in order to achieve a high position in the ranking. 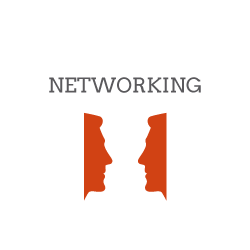 Enhance interaction between attendees thanks to our networking features.